It’s a good thing my husband is doing most of the cooking today, because I have been busy with much more important things – like making that pint-sized pilgrim hat. Gobble gobble. 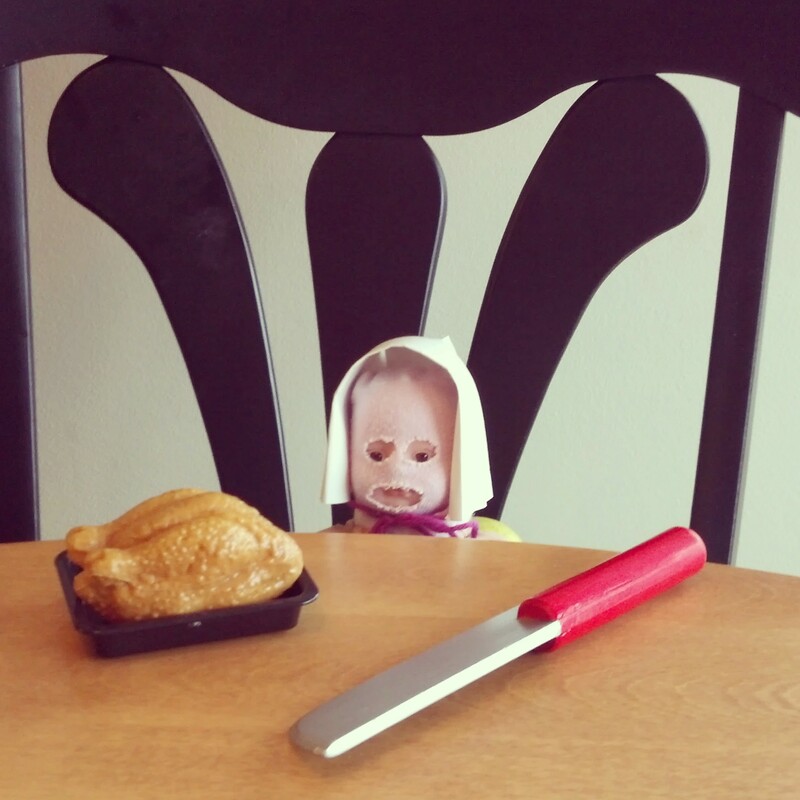 This entry was posted in Uncategorized and tagged Creepy Baby, Thanksgiving by BananaWheels. Bookmark the permalink. You made a pint-sized turkey, too? Or is it robin or cardinal or something? Pigeon? I would never eat a cardinal, don’t be silly. It’s a hummingbird. And OMG, Creepy Baby has a Creepy Turkey! Nice! I could put a little ski mask on them, but then I suppose the salt and pepper wouldn’t come out.